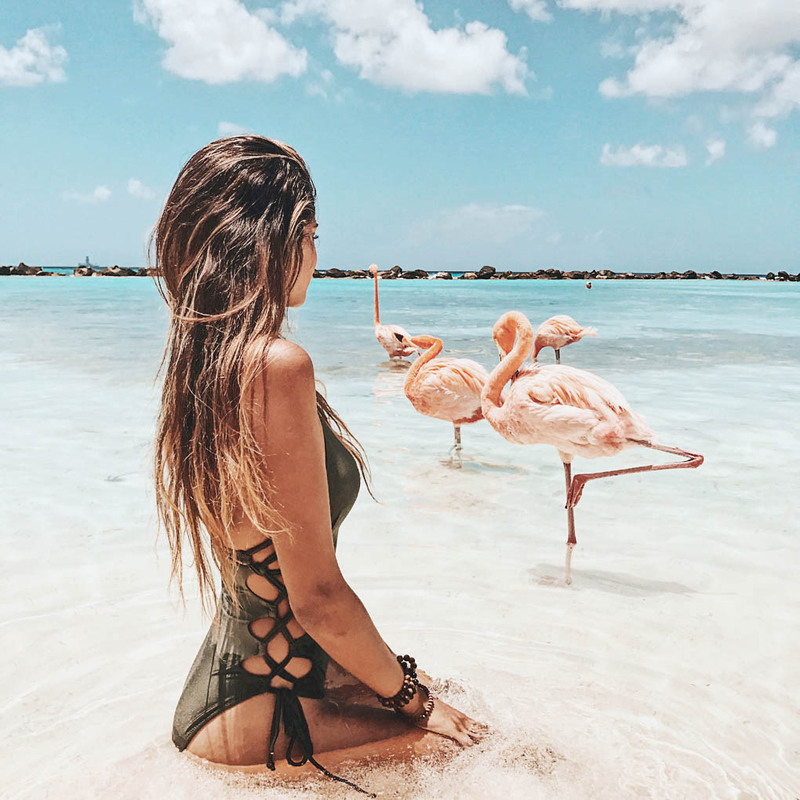 If you’re looking for a solo getaway, then Aruba should definitely be on top of your vacation hit list! The Islanders are super friendly, there are amazing water sports on offer and year-round sunshine to boot (lounger & novel at the ready!) 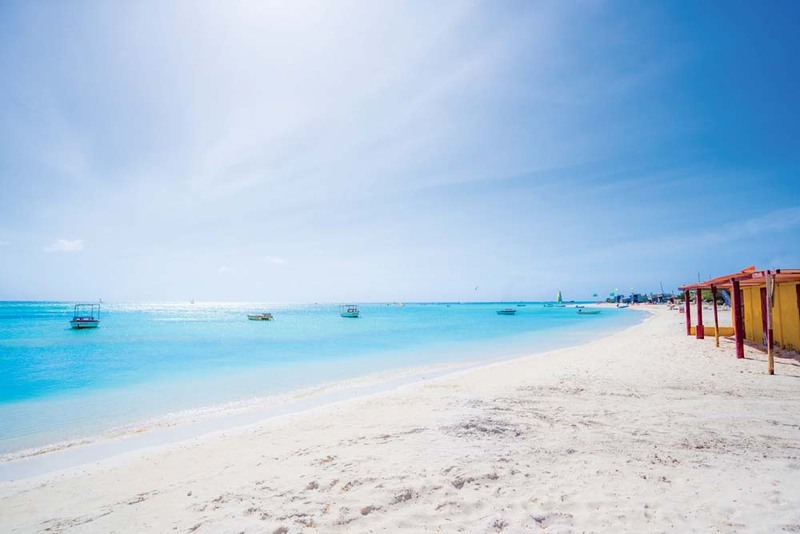 Here’s our two-day solo travel guide to Aruba. 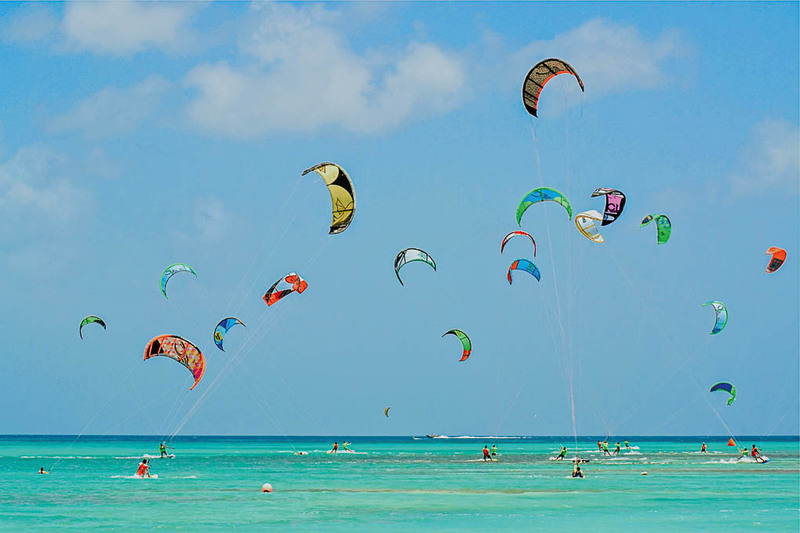 Put your athletic skills to the test and take a kite or windsurfing lesson at Fisherman Huts. Have lunch at a casual beachfront restaurant followed by an island tour – off-road on an ATV with ABC Tours or see the sights on an air-conditioned coach. Following an active day, kick back and enjoy Happy Hour at a beach or lobby bar. Piet’s Pier Bar, purebeach or the Ritz-Carlton will not disappoint! 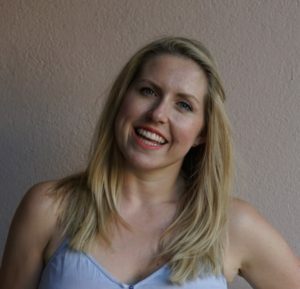 Followed by dinner at a resort restaurant (Ketsu Sushi Bar at Aruba Marriott, Café Piccolo at Hyatt Regency) or one along the jumping high-rise strip. You may want to sign up for a pub crawl, visiting local watering holes with other fun seekers. Begin day 2 with a morning walk along the beach; the brick path spans the entire high-rise strip. There are aqua fitness, yoga, and exercise classes at most resorts. Schedule a spa treatment at Clinical Massage Aruba & Spa at Casa del Mar and Playa Linda. After a relaxing morning, go shopping downtown and treat yourself to a gold trinket or a luxury brand purchase. Have a delicious local snack (try a pastechi!) and enjoy lunch overlooking the harbor (Iguana Joe’s). As the sun sets, belt out your favorite tune at karaoke (check out the Karaoke Bus with Giovanni Trim). For dinner, you might want to try one of the many cafes and restaurants, where you can eat at the bar or a casual table (Iguana Cantina at Paseo Herencia Mall, Smokey Joe’s). Stop in anytime at The Lobby and Gelato & Co. at Aruba Marriott, for a snack, light bite, and refreshing ice cream. End the night at a sports bar, wine bar (Fusion at Alhambra Shopping), lounge, or one of a dozen casinos on the island. 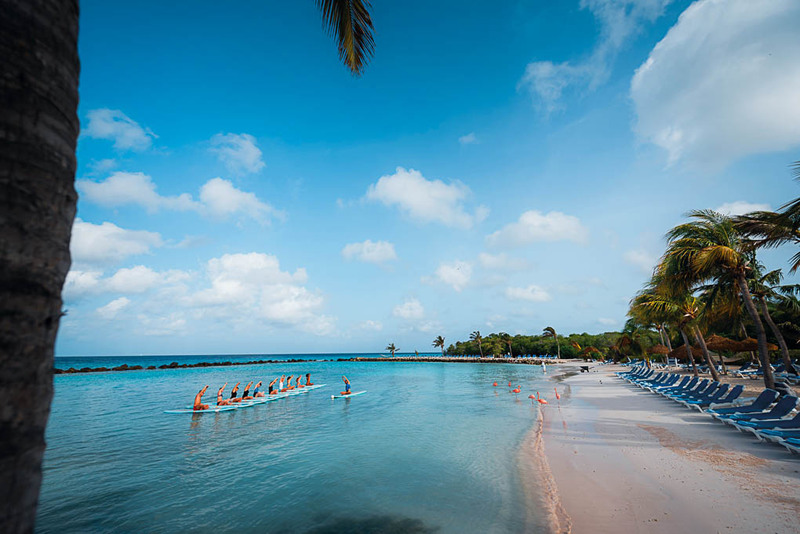 Been to Aruba on vacation? Got any tips for the solo traveler? Let us know!